SUICIDE BOMBERS is a Hard Rock band from Norway, was started by Chris Damien Doll (ex Thrashcan Darlings). 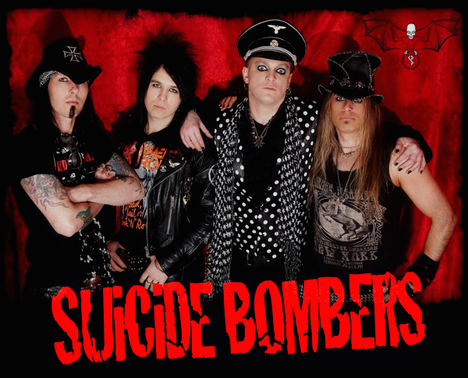 After the 3 track EP "APPETITE FOR EXPLOSIONS" was out, the band has released their fisrt album "CRIMINAL RECORD" by themselves on June 9th, 2012. On that day they had a release concert at the Gamla in Oslo, the album was sold there as well. This album contains 14 songs have full of up-beat rock'n'roll tunes. Mixed by Børge Finstad and mastered by Maria Maxwell. Armed with razor sharp determination, highly explosive rock’n’roll tunes and viking spirit, these ultimate life-forms are set to take on the world. 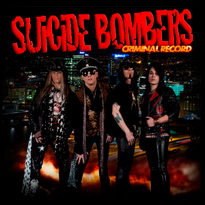 The album "CRIMINAL RECORD" is now available on the band website and will be available in Japan soon. Also they tell us each members individually there. 14. Outro - Over & Motherfucking Out!